The nasal speculum allows for an examination of the nasal interior and simultaneously eases the insertion of instruments during rhinoscopy. 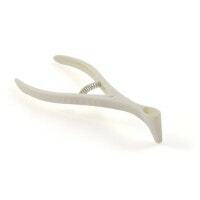 In our online shop, you will find various-sized nasal specula for single or long-term use. The nasal speculum is a medical instrument that is most often used for rhinoscopy in the ENT practice. The speculum is constructed in such a way that the branches are spread by pressing the handles together; thus allowing the nasal walls to be spread apart. This allows the doctor to more easily exam the mucous membrane, septum or nose muscles. Furthermore, the nasal speculum makes it easier to insert and manipulate instruments in the nasal interior. Nasal specula are often equipped with a spring element with which the pressure can be more accurately applied. 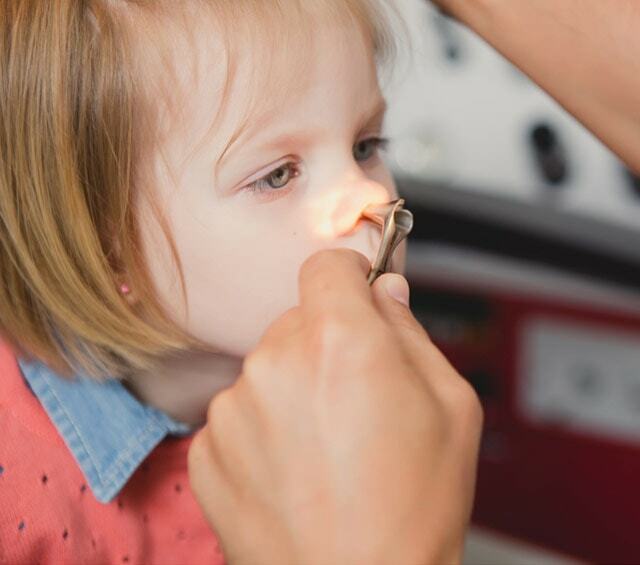 With Praxisdienst, you will find a Hartmann Nasal Speculum with different branch sizes for examining and treating children and adults. 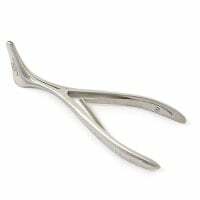 You can affordably purchase medical instruments, such as nasal specula for the ENT and many other disciplinary doctors at Praxisdienst.